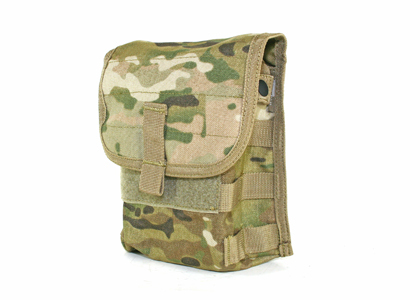 This is a MOLLE ammo dump pouch. 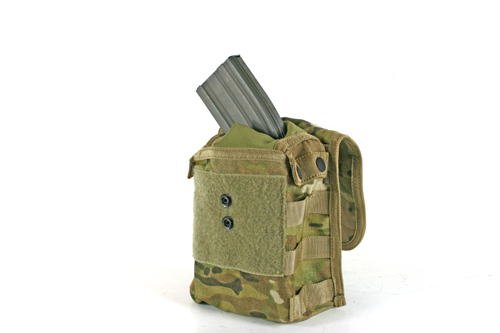 It is design for you to dump the spent magazine into this pouch without worry about dropping it to the ground. 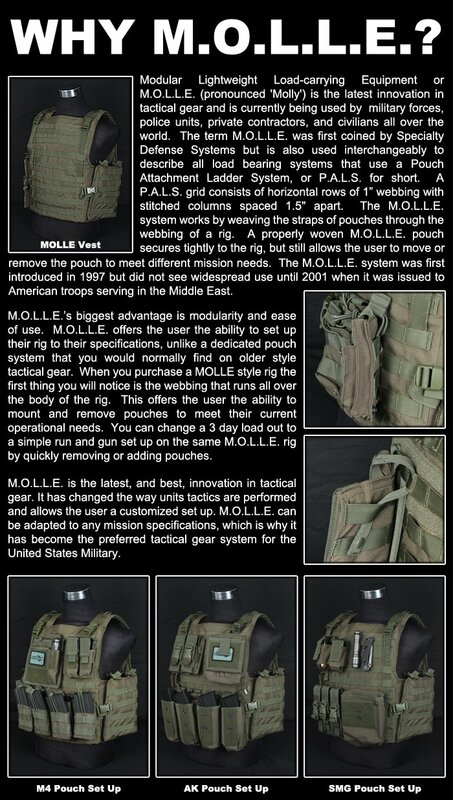 You can mount it on any type of MOLLE or PAL system tight rig or vest. Velcro inside the flap keeps the top open for easy access. Elastic "lips" sewn into the opening of the bag help prevent items from coming out. This Dump pouch is perfect for my left thigh. It can hold 3-4 M14 mags or 2 green gas bottles which I couldn't believe. The velcro is too catchy so what you do is fold the flap behind the pouch when your playing or find a way to secure it behind and you don't have worry about making that damn "totally gave away your position" noise when you need to put an empty mag away. That way you can also keep the buttons from coming undone when you use it from opening the flap all the time. The only time I keep the flap down is when its raining or when I'm holding my Ammo and green gas in it. Overall does what it says it does and couldn't be better. These are great for a wide range of uses. I use two of them to hold almost half my Gear outside of the Magazines. I have my Personal Needs, Eye Protection, Balaclava, and Tac Gloves in the first one. The other holds my Maintenance Items, just in case I need to fix my primary weapon on site. 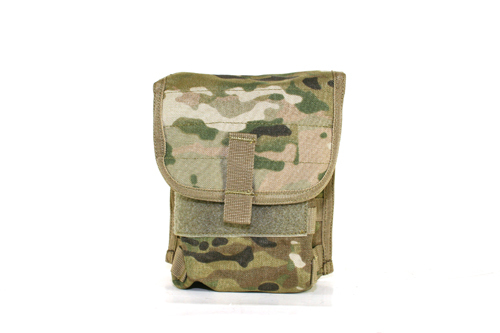 I have seen these pouches mainly employed for other uses, primarily as a Magazine Pouch for those Deploying a Support Weapon like an M249/Mk46, and M60/Mk46. All these functions, for something that is meant as a Dump Pouch. 1. Tons of uses, not only for dumping AR or AK Mags. 2. Holds a ton if you do it right. Smaller Items need a container prior to placing in the pouch if used as a Gadget Pouch. This is an amazing dump pouch, I would definitely recommend it over some of the others I have tried, then again it's all down to personal preference. But this one is the one I've found easiest to use . -maybe too much Velcro for the flap? I choose to leave out the part that is made to hold in mags and other small items (totally brain farting on the name of it) due to the fact you can usually only get maybe 2 mags in there before you have a hard time slipping more in. So I just make sure the flap is velcrod in place really tight to keep things from falling out which causes it to be a pain in the *** due to it being really good velcro and lots of it. If you aren't in a hurry on the field though there is no issues with it.